"A corrupt St. Paul police department led by Police Chief John O’Connor provided a safe haven to gangsters in the late 1920s and early 1930s. The O'Connor System, as it was known, allowed criminals to live in St. Paul as long as they kept out of trouble and obeyed the law during their stay. 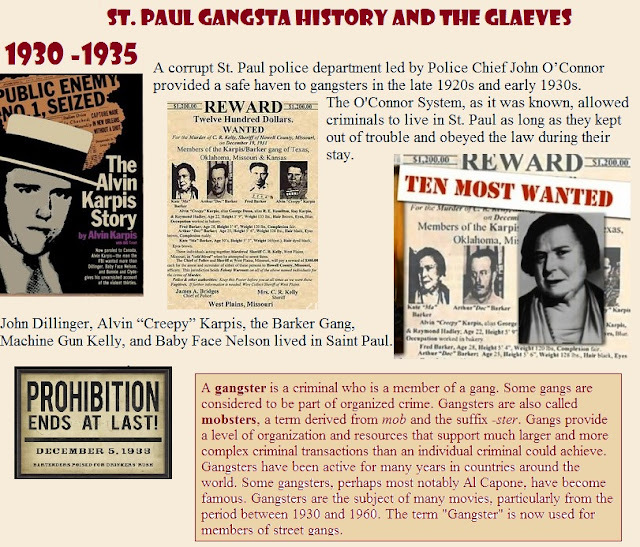 Because of this, notorious gangsters like Public Enemy #1 John Dillinger, Alvin “Creepy” Karpis, the Barker Gang, Machine Gun Kelly, and Baby Face Nelson lived in Saint Paul. 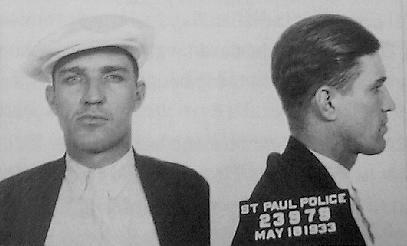 The system fell apart when crimes began to be committed in St. Paul like the high profile Hamm and Bremer kidnappings." 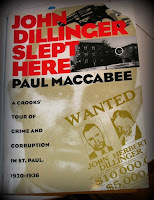 "This parade of public enemies is well documented by local crime historian Paul Maccabee in John Dillinger Slept Here. "As much as anyone, Maccabee deserves credit for resurrecting the history of the period. 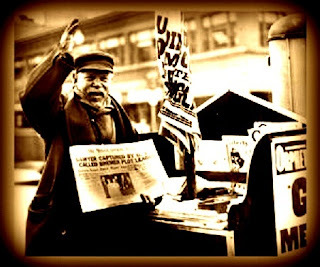 Beginning more than 25 years ago, when he was a journalist with the Twin Cities Reader, Maccabee began researching Twin Cities crime and corruption during Prohibition and into the Depression. 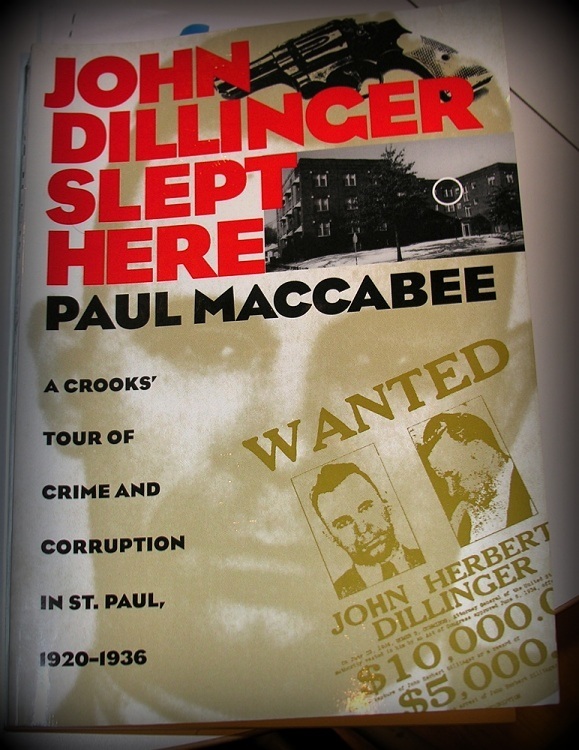 Hundreds of interviews, and 100,000 pages of FBI files later, Maccabee published Dillinger, which remains the bible of St. Paul gangster studies." So you are saying that's interesting, but what does it have to do with the Glaeves and the West Side of St.Paul. Well indulge me. In 1932; the Glaeves, Fred, Ella, Martin and Dad, were living at 497 Andrew St. The Engelmanns, friends of the family and where Dad would later live as a boarder, were living at 566 South Robert Street. The Barker gang and Alvin Karpis were hiding, in plain sight, at a house at 1031 just a few blocks up busy South Robert Street across Annapolis, not too far from the Emanuel Lutheran Cemetery where Martha Glaeve was buried. The house still exists today as a nail and hair salon. Now Ma Barker, though some dispute this, was never the brains behind the gang. I will go with Alvin Karpis who sets the record straight in The Alvin Karpis Story penned after his time in the pen. He says though “Ma” Barker was generally depicted in those days as a criminal mastermind who spawned and directed a gang of killers, according to Karpis, “She couldn’t organize breakfast. She knew where we were getting the money, she knew what we did, but whenever we sat down to plan a job, we sent her out to the movies." She did, however provide good cover behind her apron strings. A little old lady who walked her bulldog up South Robert and who religiously sent her sons to their violin lessons. It would seem that the vicious criminal persona attached to Ma Barker may have been a creation of the FBI and J. Edgar Hoover to cover the fact that they gunned down a 62 year old mother. Now add to the neighborhood Tommy Carroll. According to a 1934 wanted poster and info in Maccabee, he was 5 ft. 10 and a trim 166 pounds. "The chestnut haired, blue-eyed Chicagoan looked roughly handsome...despite what police described as a furrowed upper lip, scars on this jaw and neck, and a mouth that twisted distinctly to the right. Carroll, one of the few married men in Dillinger's gang, was known for juggling women friends and aliases..." Carroll had done time in Leavenworth for auto theft and upon his release had engineered a series of postal burglaries in Wisconsin, Iowa and Minnesota. 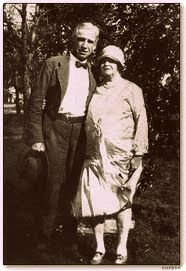 When Carroll married his girlfriend Viola in 1925, they had "pledged their marital devotion using aliases... The couple had moved to St. Paul in 1932 after an attempt at running a restaurant in Mankato didn't pan out. Tommy Carroll in 1932-33, now part of the Dillinger Gang, had abandoned his wife and was living with his current squeeze, Sally Bennett, a popular nightclub entertainer, at 35 West Isabel Street, on St. Paul's West side. "For six months during the spring and summer of 1932, Bennett and Carroll lived in the second-floor apartment. Their landlords were Pete and Mary Vogel, a foundry worker and a schoolteacher." The information comes from interviews that Maccabee conducted with the Vogel sons' John and Jim in 1993. Members of the gang met regulary at the apartment to smoke cigarettes and plan bank robberies. According to the Vogel's aunt they were respectful and emptied the ash trays. The address is a stone's throw from where Fred and Ella Glaeve lived with their two sons, Martin and Reynold, at 497 Andrew Street. According to the census records, Fred was working as a laborer in a pickle factory. This was probably the Gedney plant off South Wabasha Street, not far from home. Carroll often ate with the Vogels and always "tipped generously". He would take Sally to the movies and the Green Lantern and on occasion to gangster parties at a cottage on Lake Owasso. "He had two close calls with police in Minnesota. In May of 1933, he was arrested for possesion of burglary tools but was released in June. In September, after an accident at Wheelock Parkway and Rice Street, he was arrested when police discovered a loaded .45 caliber pistol in his car. He was released, despite the fact that he was out on bond for a Wisconsin post office robbery." 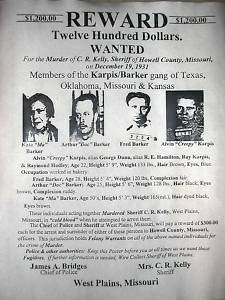 On June 15, 1933, the Barker-Karpis Gang kidnapped William A. Hamm Jr., a wealthy St. Paul beer brewer, and held him for a $100,000 ransom. On January 17, 1934, they kidnapped the president of the Commercial State Bank of St. Paul, Edward George Bremer. 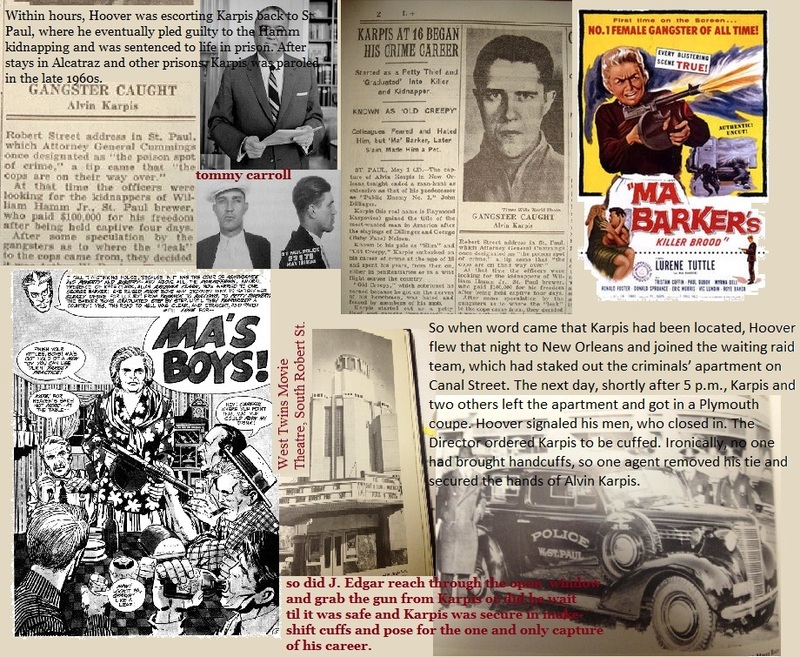 They were able to ransom $200,000, but the fingerprints of “Doc” Barker were found on a gas can left at the scene of the ransom exchange. The Federal Bureau of Investigation (FBI) was soon on the gang’s trail. On March 31, 1934, John Dillinger and Homer Van Meter shot their way out of the Lincoln Court Apartments where John had lived with his girlfriend Evelyn Frechette. Their apartment, #303, was a block off Grand and overlooked Lexington Parkway. The FBI and St. Paul Police, acting on a tip from the landlady had politely knocked on the door, but had failed to secure the rear exit and an escape route to the waiting get-away-car. After an exchange of gun-fire, Dillinger, in the car driven by Frechette, was gone. And then on May 9-10 of 1934, a black cloud, 10,000 feet high, rose out of the Plains and moved east. Gale-force winds with a cool front caused a dust storm across Minnesota. "At times, the dust was so thick that it was impossible to see across Lake Calhoun or Lake Harriet in Minneapolis." The swirl of soil from Oklahoma, Nebraska, Kansas and Texas would later blanket most of the East coast and cover ships 200 miles out in the Atlantic.